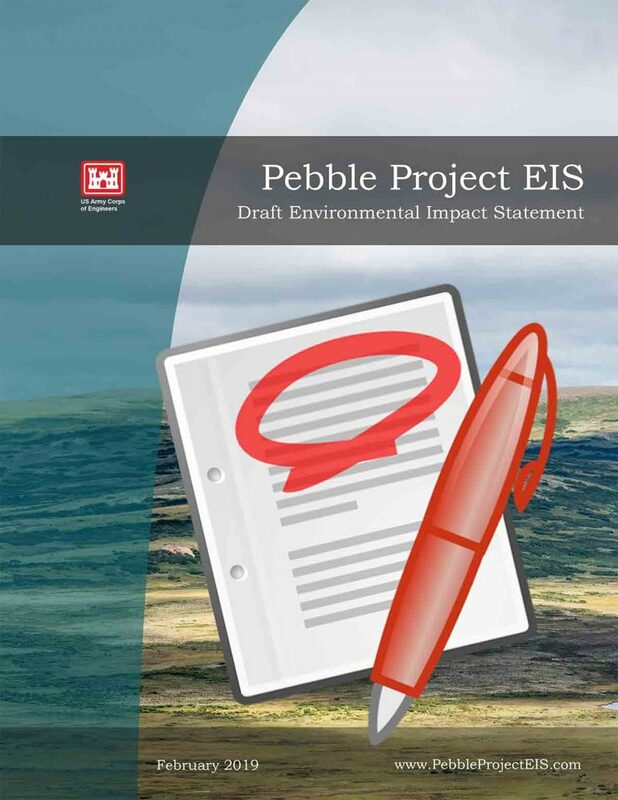 When the U.S. Army Corps of Engineers (Corps) released the Pebble Draft Environmental Impact Statement (DEIS), we started our review at the end of the document: in the References section. Over the last 11 months, 1400 documents have been added to the Corps’ Project Library at www.pebbleprojecteis.com. These had been narrowed to approximately 1,034 documents cited in the bibliography for the DEIS. As we reviewed that DEIS reference section, we wondered how it compared to the other major document written about the Pebble deposit area and transportation corridor: the EPA’s “An Assessment of Potential Mining Impacts on Salmon Ecosystems of Bristol Bay, Alaska,” (also known as the “Bristol Bay Watershed Assessment”) published in 2014. After two rounds of independent peer review, the final Bristol Bay Watershed Assessment listed approximately 747 reference documents. Comparing it to the DEIS, we found 42 references in common. This means that under 6% of the referenced items in the Bristol Bay Watershed Assessment ended up in the DEIS. The two documents had different scope and objectives. However, since they are both focused on the same areas in Bristol Bay, and address large-scale hard rock mining, we had anticipated there would be more overlap of scientific documents. We asked the Corps on March 1 to comment on: 1) whether it intentionally excluded documents or scientific articles that appeared in the BBWA, and if so, why. 2) If it did not intentionally exclude any scientific references, would it be reviewing the relevant reference documents that are in the BBWA that were not initially considered? We will update this post when we get a response. Terms included in the reference sections of the DEIS and BBWA. A note about methodology: Every effort was made to ensure accurate results throughout this analysis. However, results should be considered approximate, as there is a margin of error inherent in the multi-step process: Reference sections for the main bodies of the DEIS (Chapter 9) and the BBWA (Chapter 15) were pulled into spreadsheets from their associated online PDFs. (References included in appendices were not included in this analysis.) In the BBWA, references had been listed for each chapter, and some documents were cited for multiple chapters. These were de-duplicated, resulting in a list of 747 reference documents. The DEIS spreadsheet reflected 1,034 documents, after editing to remove split document titles and duplicate titles. We searched for each of the 747 BBWA references within the DEIS spreadsheet, noting exact documents and similar documents (ex: annual reports that had been updated since publication of the BBWA). We also noted the number of scientists whose work was referenced in the BBWA and who also had different works cited in the DEIS.